Otherwise known as all-night parties, giggle-thons, eat-athons, film-athons and chatter-thons. Rewind back to our own youth, and we all know just how much irony is in the word Sleepover. Fi, our resident style expert, remembers the days of insisting on staying up till gone midnight, just to have that all important midnight feast lovingly packed up the night before, with her friends. "Pizza, jelly and ice cream were a must, as well as a packet of crisps and maybe even some popcorn. There'd also be some token fruit and veg in there too, that Mum must have sneaked in at the last minute.Some sleepovers I'd be so proud of the fact that me and my friends had stayed up till 5 in the morning, giggling and chatting about everything and nothing, and mainly we'd be watching films and sharing secrets, and maybe telling the odd scary story or two." And that's what it's all about. Really, it's a bonding exercise among friends and family. A rite of passage in which to tell each other your top secrets and talk about your favourite things. 1. Plan it out and then go with the flow. It's great to have activites planned for the kids, and depending on how old they are, a combination of favourite films, fun board games, Easter egg hunts and story telling all work really well. But don't be despondent if the children don't want to play the game you spent all week devising; it's important to have things to do to prevent boredom setting in, but letting them go with the flow is great too! 2. Have designated food times. Though it can be tempting to give the kiddies everything they need for the night and shut the door and let them get on with it, it's usually a good idea to have set meal times. - No one wants to find pieces of pepperoni down the side of a trundle mattress a few weeks later! 3. Ask the visitors to bring their own bedding. 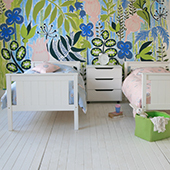 - Extra duvets and blankets are tricky to store, and lots of children have their favourites, so ask them to bring along their own so that there are no squabbles before it's even started! 4. Trundles are your best friend. 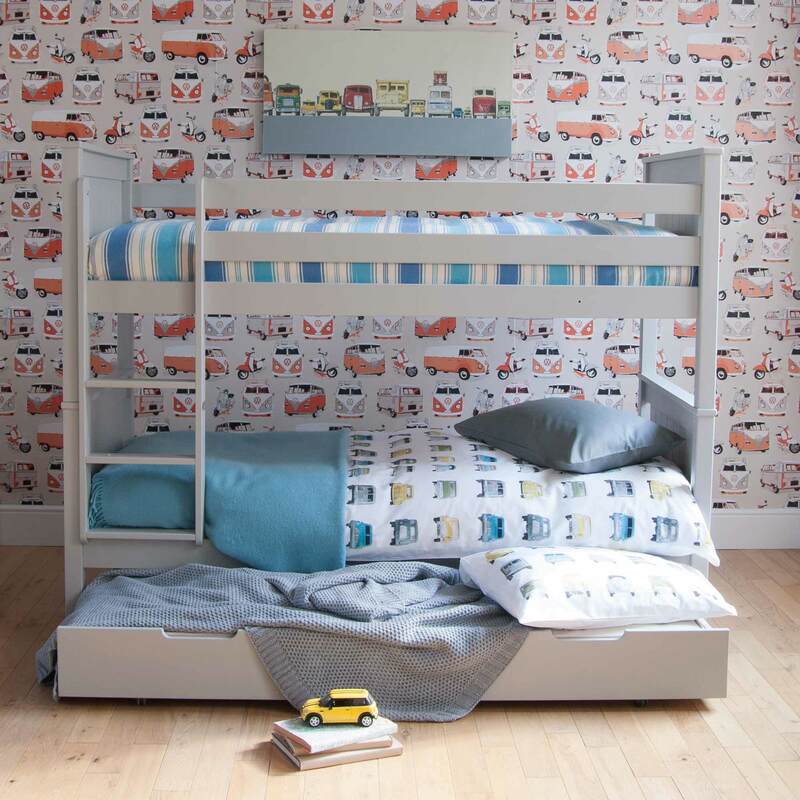 Trundles that convert into extra sleepover beds (with an additional mattress), are a saviour for last minute sleepovers. 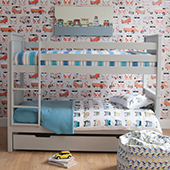 Any little Folks Furniture trundle can be wheeled out from under the bed and be positioned anywhere in the room. 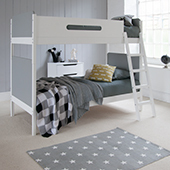 - And if you don't have so many sleepovers, they can double up as a large storage drawer (by removing the mattress), which slides right underneath the bed as a fab space saving option. Win, Win! 5. Save the Easter eggs for the morning. Melted chocolate is not your best friend in a bedroom!